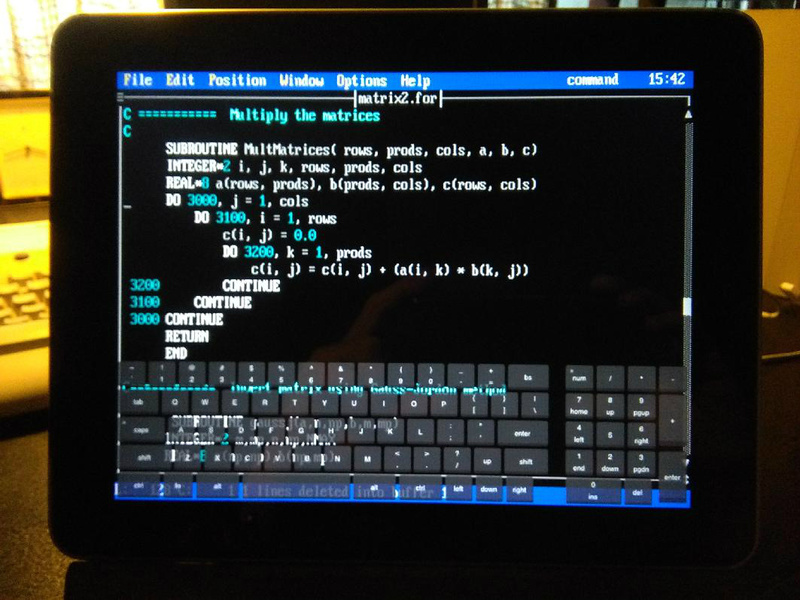 Watcom Fortran - Running on the iPad! 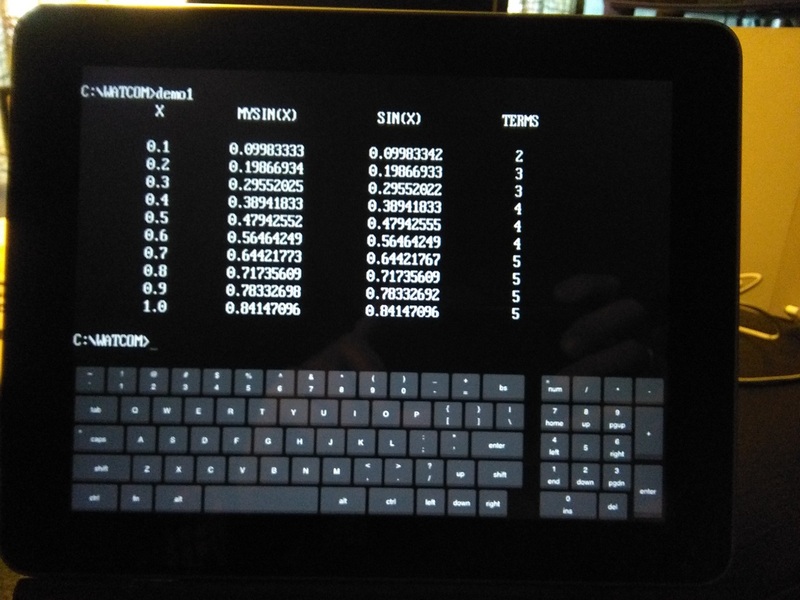 It's possible to put "OpenWatcom Fortran" on the iPad, and compile and run your scientific Fortran programs. 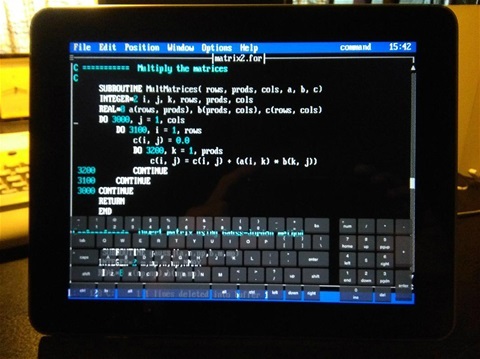 Or do your own regression analysis, curve-fitting and graphics using the extensive Fortran open-source libraries. 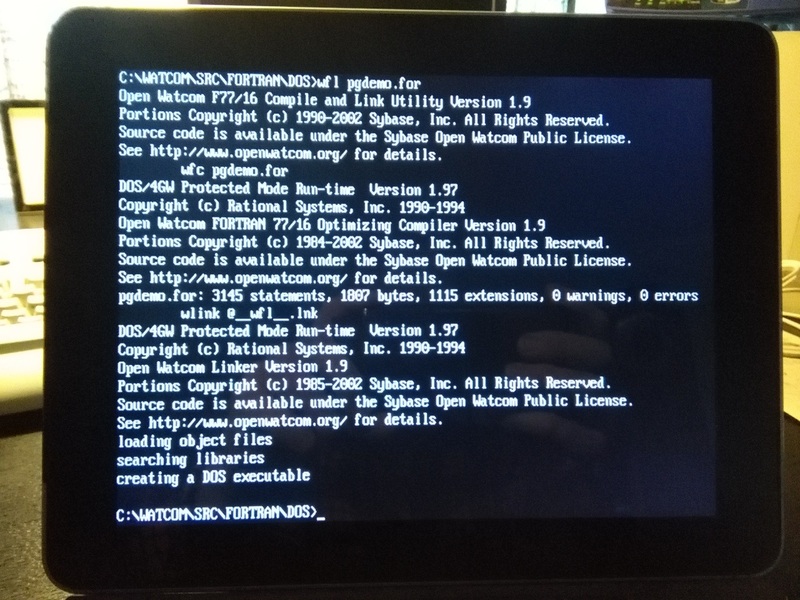 I've used this install procedure to put OpenWatcom F77 on my Huawei cellphone, (Android 5.1.1) and a Samsung Tab-A (Android 6.0.1), under GEMESYS Android version of DOSbox (gDOSbox), and the OpenWatcom Fortran works well there also. 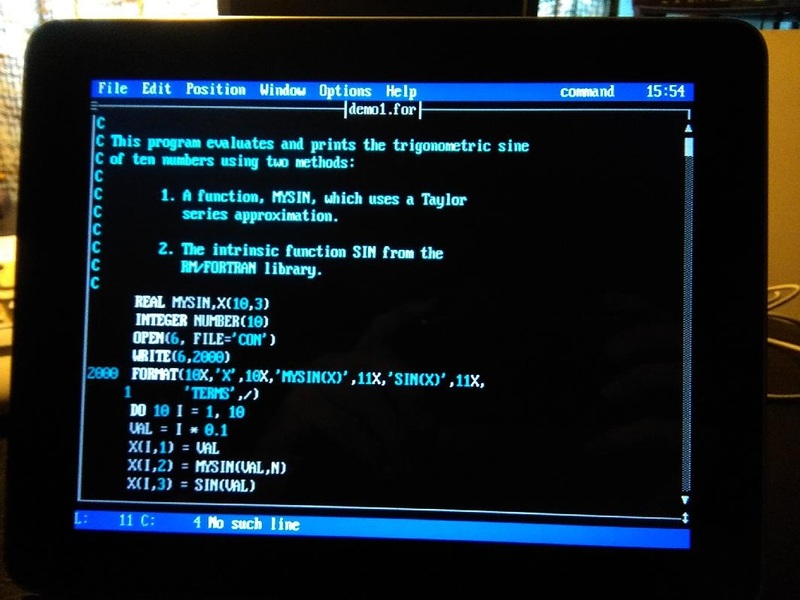 Program DEMO1.FOR, calculates sine values using Taylor series. Compile. 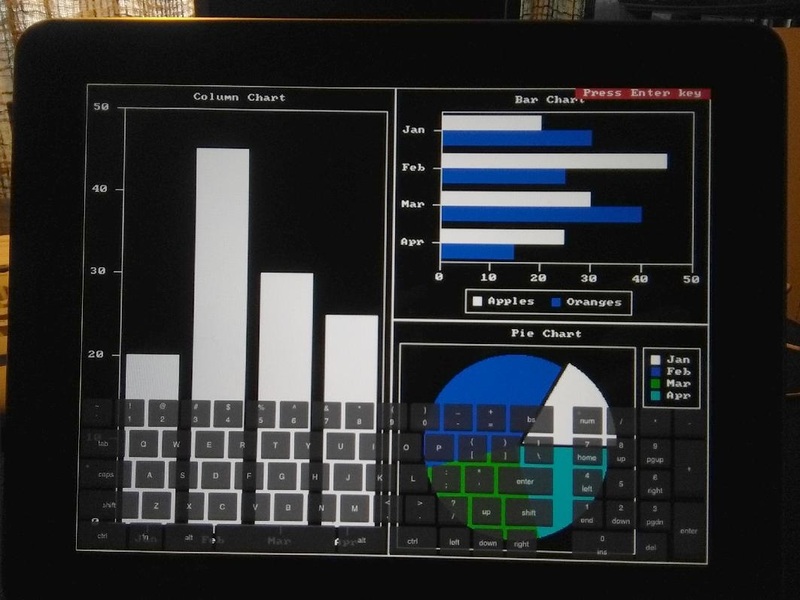 Link and Create Executable PGDEMO.EXE - Presentation Graphics Demo.